Meet Carlos Diaz, a metalworking artisan affiliated with our field partner in Guatemala, As Green As It Gets. Carlos has been in this trade since he was a kid, mainly producing metal door frames, windows, etc. Carlos is incredibly skilled, but he has recently started to expand his business model to include decorative art pieces made out of wrought iron. In doing so, Carlos hopes to sell more product to better support his family. 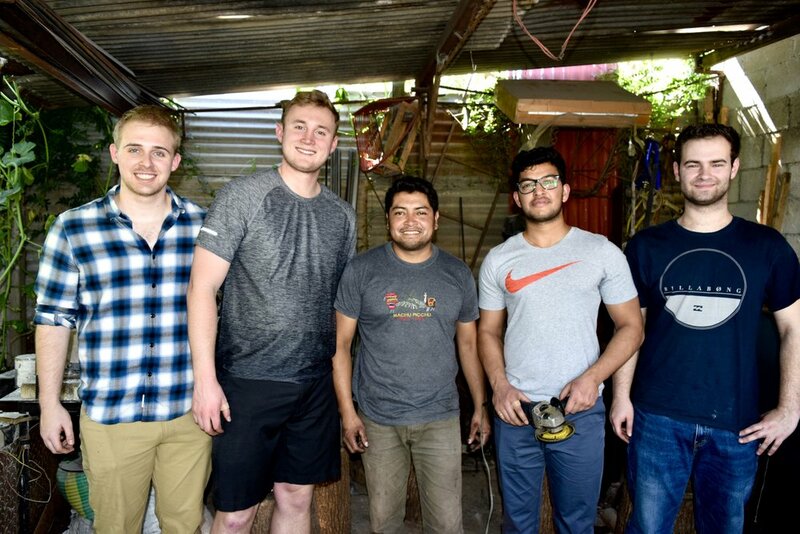 In June 2017, Spartan Global extended a $1,100 microloan to Carlos as a capital investment to purchase a crucible, anvils, a forge to heat metal, and other necessary equipment to grow this facet of his metalworking business. The loan period is two years. Pictured is Carlos utilizing some of the tools he purchased with the loan from Spartan Global and the forge he built from salvaged equipment. We are excited to see what he does next! These recent loans have been made possible through the generous support of our 2018-2019 Sponsors. If you are inspired by these stories and our work, please consider donating to Spartan Global. Your generous contributions allow us to continue supporting aspiring entrepreneurs throughout developing regions in the world.